Old Ruggedo, the former Nome King, comes to Oz for the second time, and makes more trouble than he did on his first visit. Ruggedo never gives up the idea of conquering Oz, and this time he has the advantage of being in the country without Ozma's knowledge. Also, he has the magic and somewhat grudging help of Kiki Aru, the Munchkin boy who is illegally practicing the art. If you like magic, then this is a book for you. There's magic on every page, and everyone in the story eventually is transformed into something else, or bewitched in one way or another. Even the wild animals in the great Forest of Gugu do not escape. 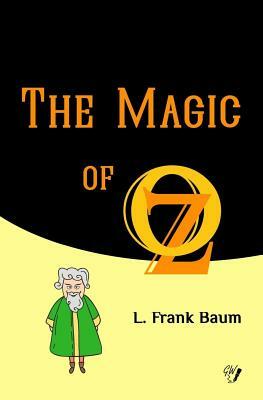 Since 1900 when L. Frank Baum introduced to the children of America THE WONDERFUL WIZARD OF OZ and all the other exciting characters who inhabit the land of Oz, these delightful fairy tales have stimulated the imagination of millions of young readers. These are stories which are genuine fantasy-creative, funny, tender, exciting and surprising. Filled with the rarest and most absurd creatures, each of the 14 volumes which now comprise the series, has been eagerly sought out by generation after generation until today they are known to all except the very young or those who were never young at all.